Inactivity Timeout in: 00 seconds. If you have been contacted by us but you are not sure what to do, we would encourage you to give us a call on 01274 957060. For advice and information on debt and other topics, visit your nearest Citizens Advice Bureau. Click here to find your local CAB. 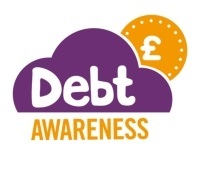 If you would like further independent information about dealing with debt problems, you may find this Directgov - Dealing with debt problems guide helpful. Has Your Debt Management Plan Stopped? IMPORTANT - If you seek help from an independent source, please do tell us that you are doing this and who you are dealing with so that we can make a note and place your account on hold to allow you time to sort things out. in respect of consumer credit regulated accounts. Copyright © 2018 - by Lucas Credit Services Limited - All rights reserved.